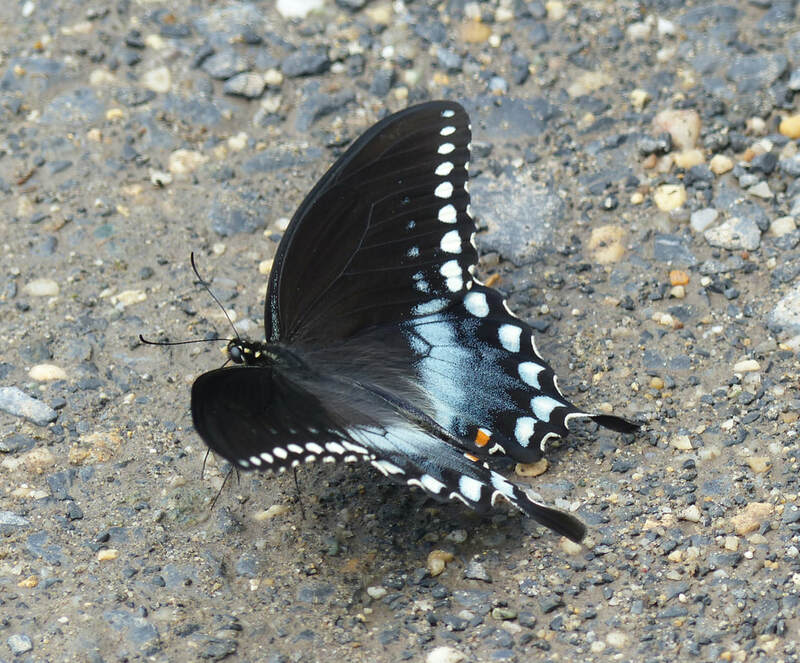 Insect Mimicry - Amazing Nature! ​Many totally harmless insects derive protection because they look like insects that sting or bite. Others look like insects that taste bad or are poisonous and thus are also left alone. This defensive mechanism is called MIMICRY and is very effective in keeping animals safe. 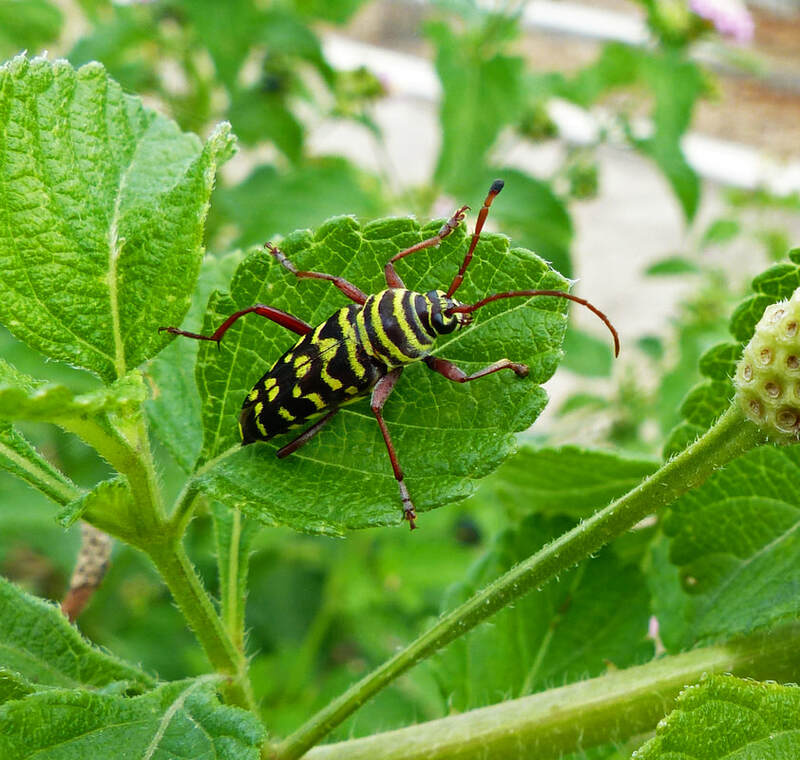 ​As you can see in the WARNING COLORS section of Insect Defense, insects with bold stripes or bright colors are announcing to predators that it isn’t even worth trying to eat them. They will either defend themselves by stinging or biting or taste bad. Mimicking these dangerous insects is an effective defensive device. 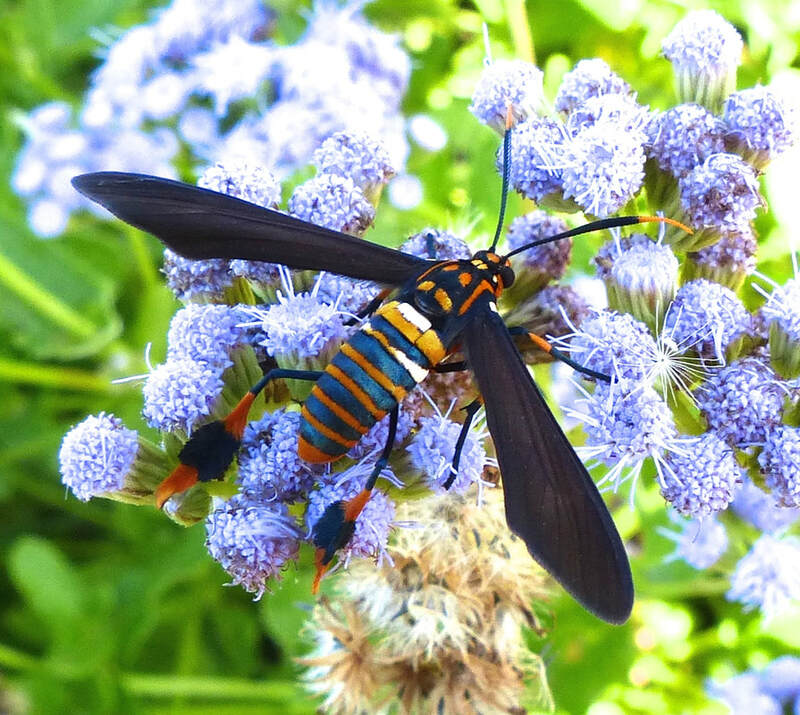 Can you believe this is a Clearwing MOTH (Vitacea admiranda) and not a wasp? This brightly striped Texas Wasp MOTH (Horama panthalon) would probably fool a predator. 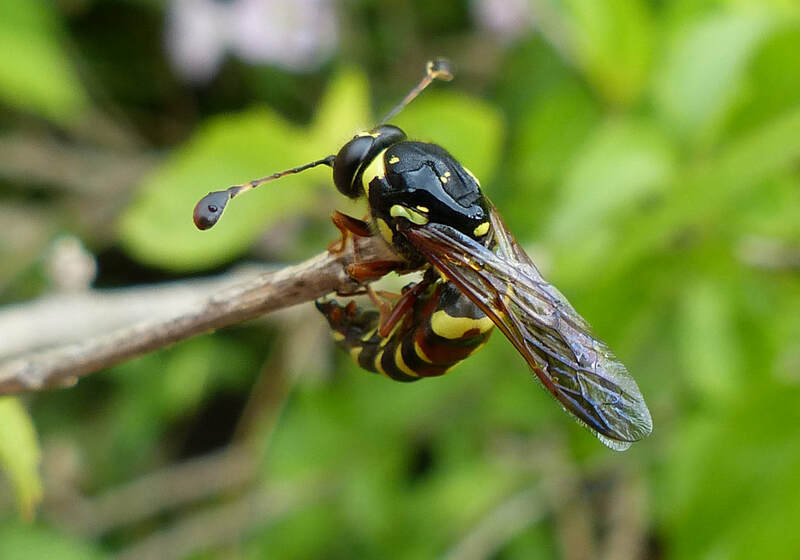 Which of the three "wasps" below is a Paper Wasp? ​The insect drinking in the first of the three photos is the only wasp. This wasp mimic is a Syrphid FLY (Polybiomyia schnablei). Notice the circled haltere. 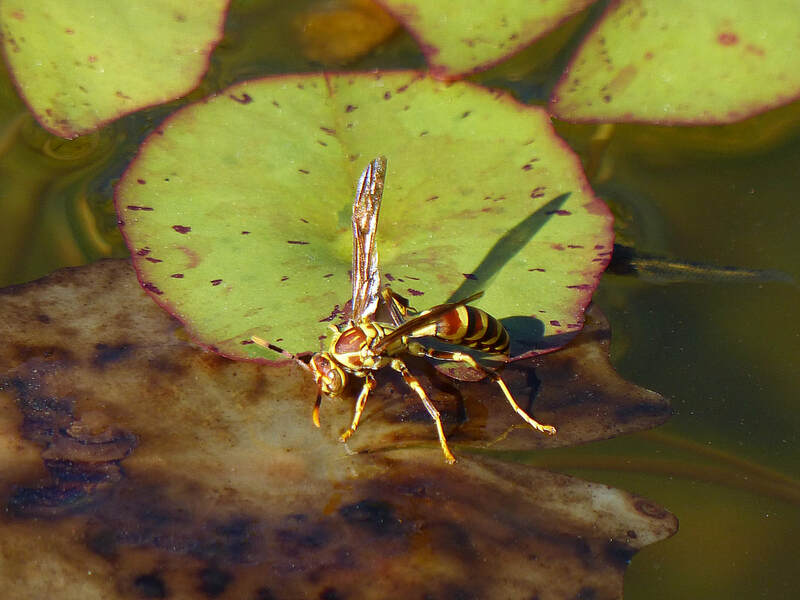 Halteres are modified wings that you find only in flies. 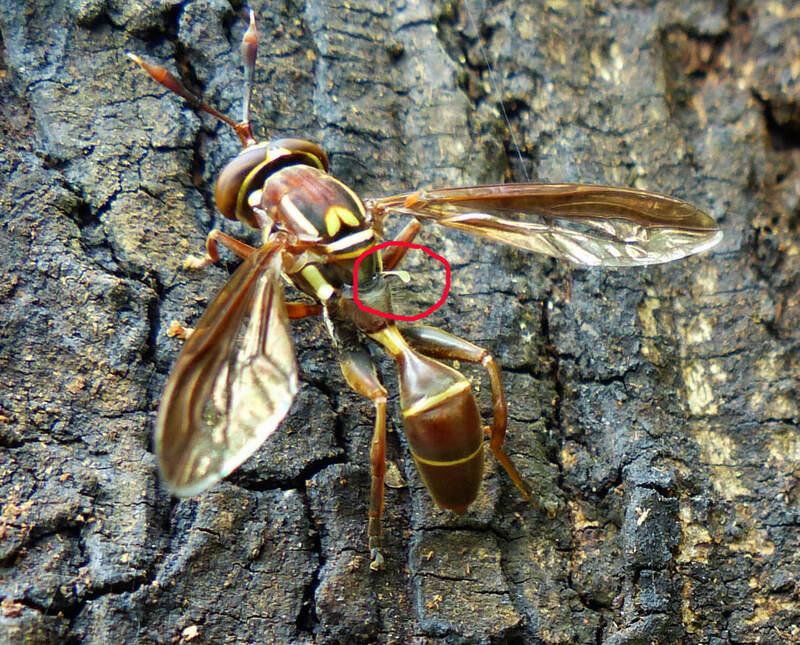 Wasps have two full sets of wings. 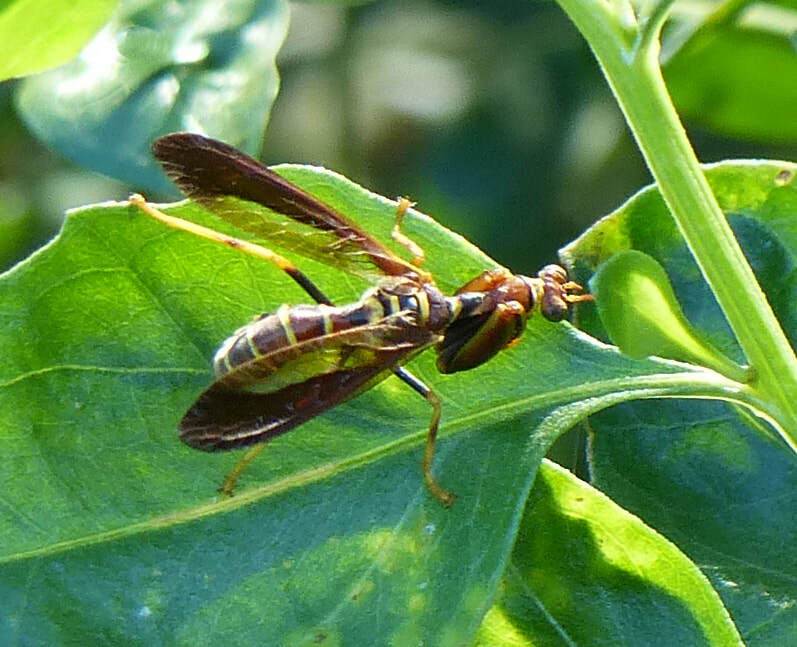 This strange looking mimic could easily be mistaken for a Paper Wasp, but it is a MANTISPID (Climaciella brunnea). 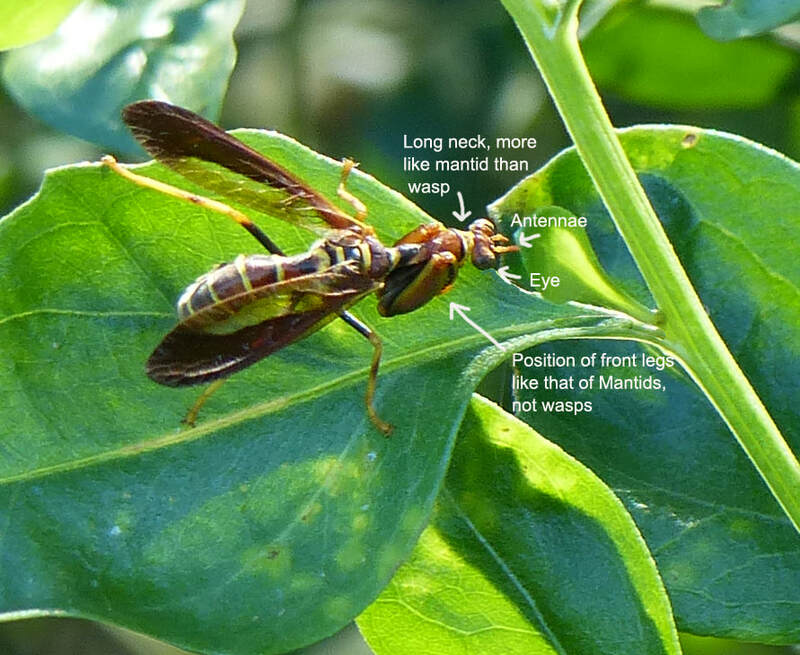 I first saw a MANTISPID on a bush in Florida. I thought it was a wasp, but a very strange-looking wasp. Upon closer inspection, I saw that the front legs were all wrong and the head seemed to be above the body. Where did the neck come from? Wasps don't have necks. Of course, it wasn't a wasp. 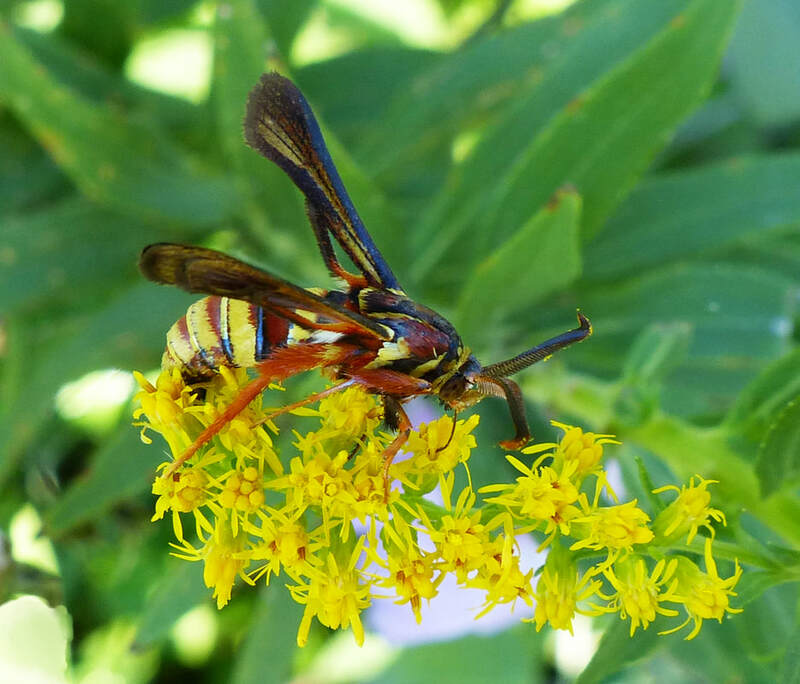 This wasp mimic is a member of the Mantispidae family. 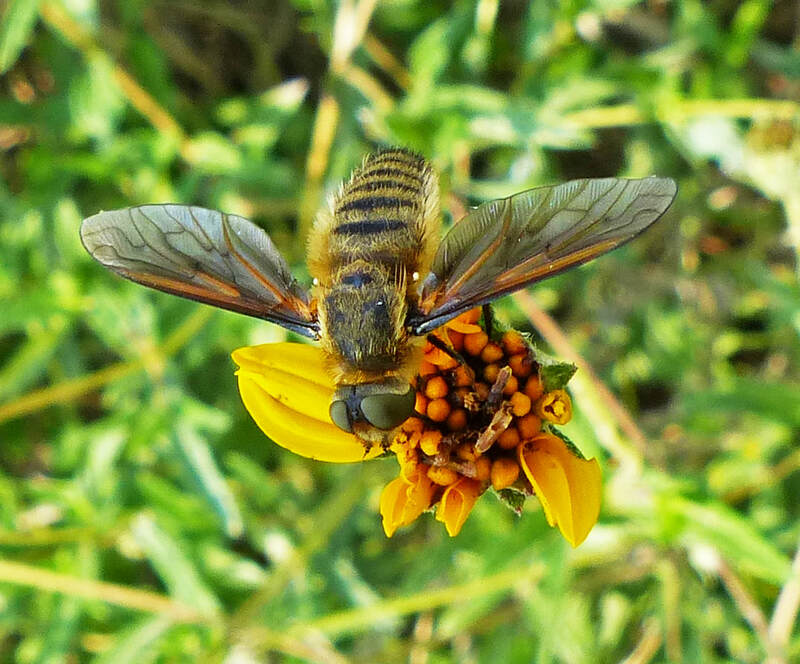 Honey Bee or Bee Fly? 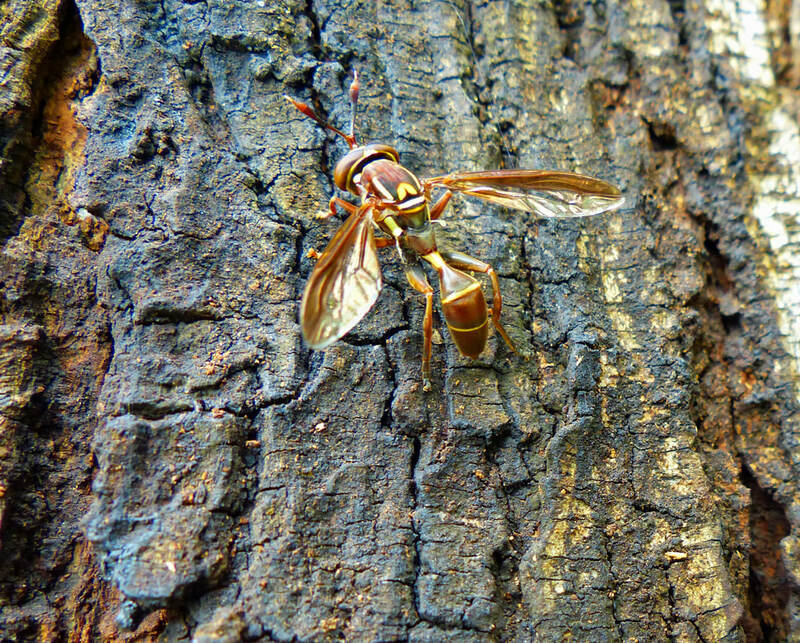 While sporting the same coloration as a wasp, this BEETLE, a Mesquite Borer (Placosternus difficilis) does not sting. 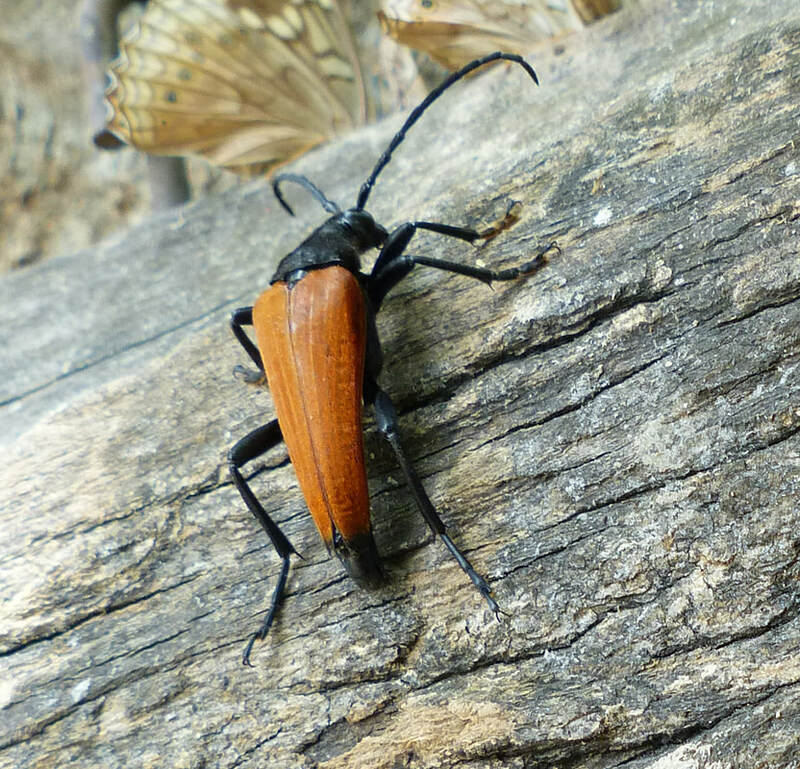 A very large Long-horned BEETLE (Stenelytrana gigas) has the same coloration as a very large wasp --the Tarantula Hawk. 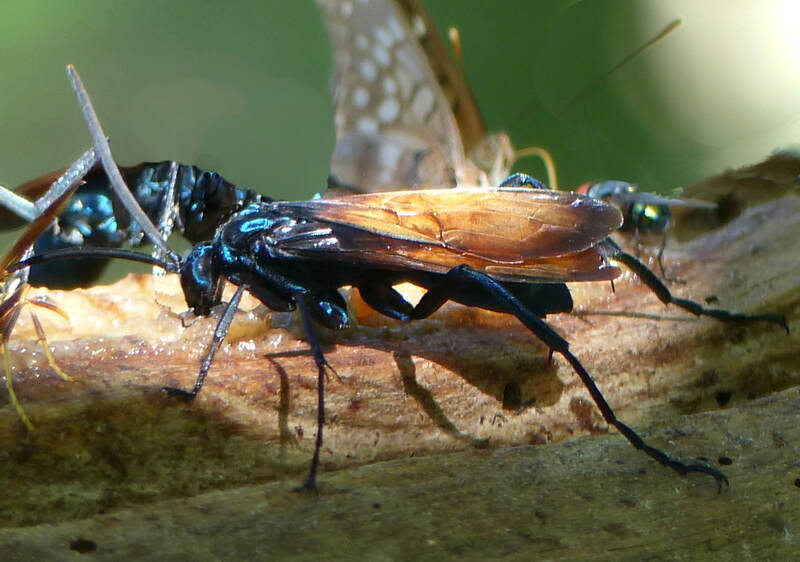 Tarantula Hawk WASP (Pepsis thisbe) are very large and rarely sting, but the pain is known to be excruciating. The female Tarantula Hawk uses this venom to paralyze a tarantula, into which she lays an egg. The larva hatches out and survives until adulthood eating the tarantula's insides. 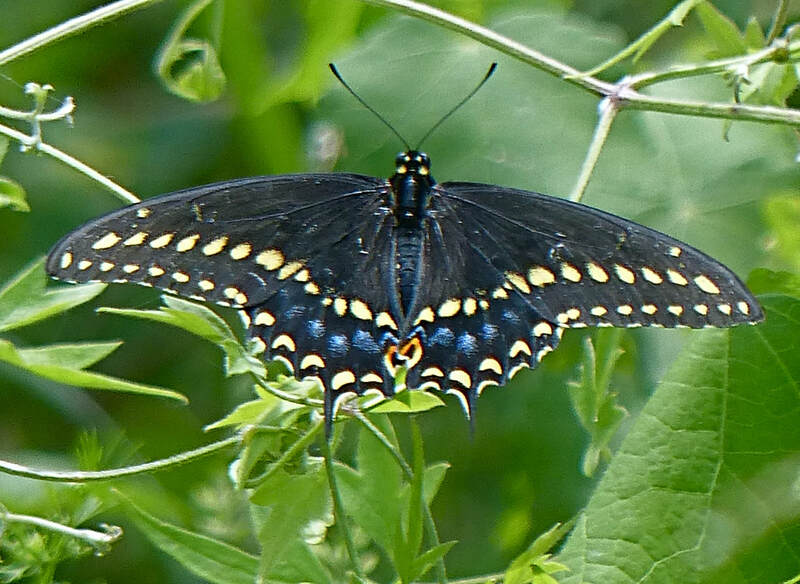 In the WARNING COLORS section, you saw a variety of colorful insects that eat plants containing poisons, store the toxins in their bodies, and become poisonous or distasteful themselves. Predators learn to associate their bright colors with bad tastes or even harmful physical reactions and learn to stay away from them. There is a whole group of insects that are perfectly palatable, but look just like or mimic those insects that are distasteful. 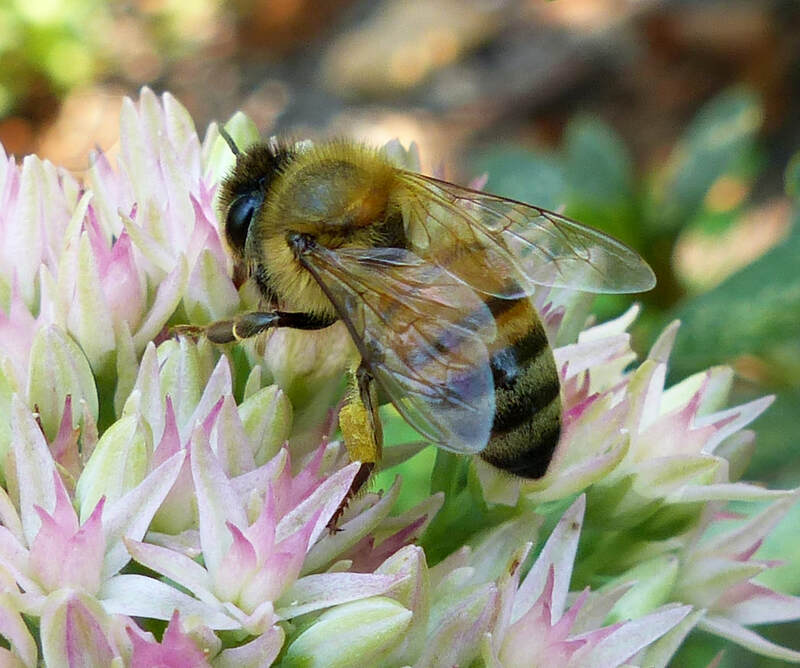 As with mimics of stinging or biting insects, these insects also derive protection from looking like insects to avoid. 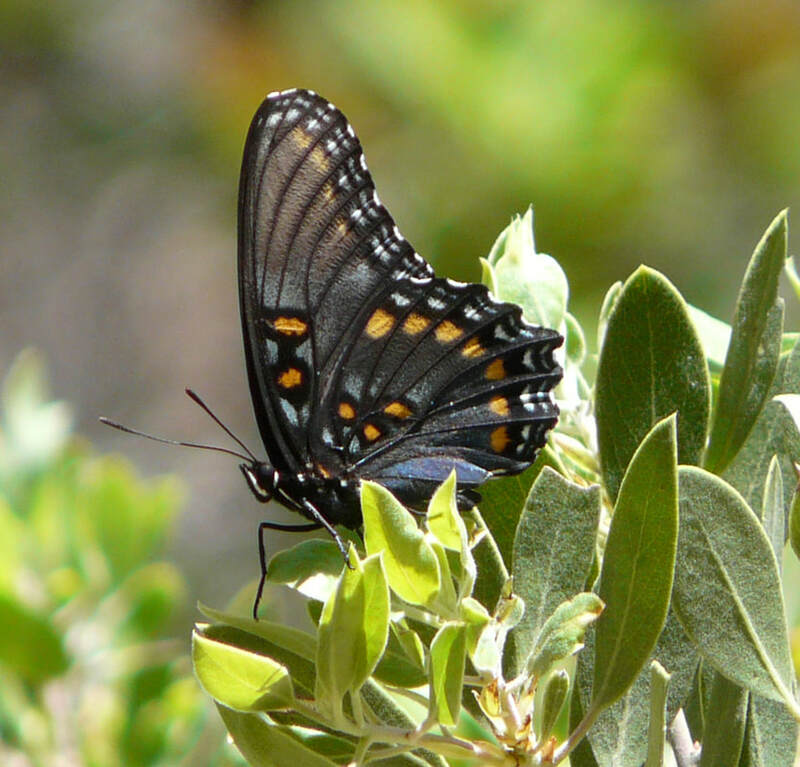 Which Butterflies Should Predators Avoid? 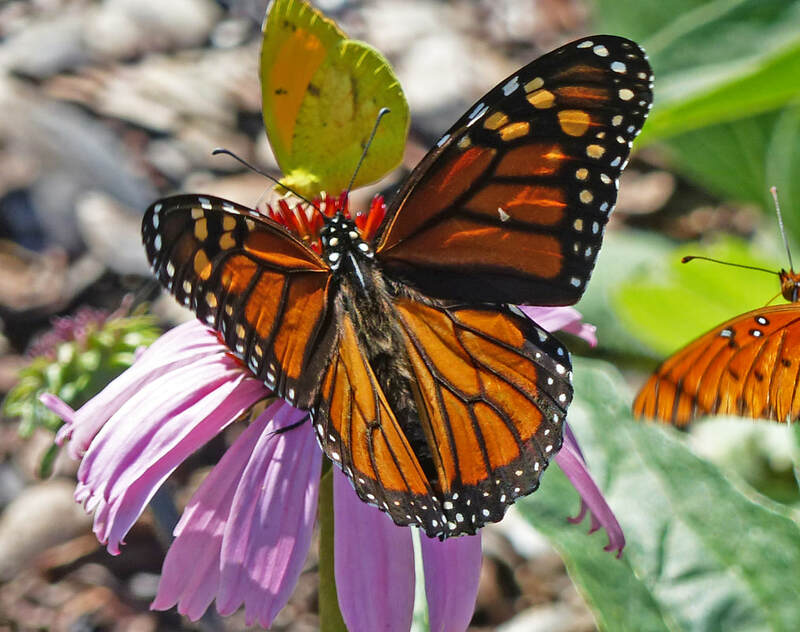 Monarchs feed on milkweed, which contains chemicals that are toxic to some animals. 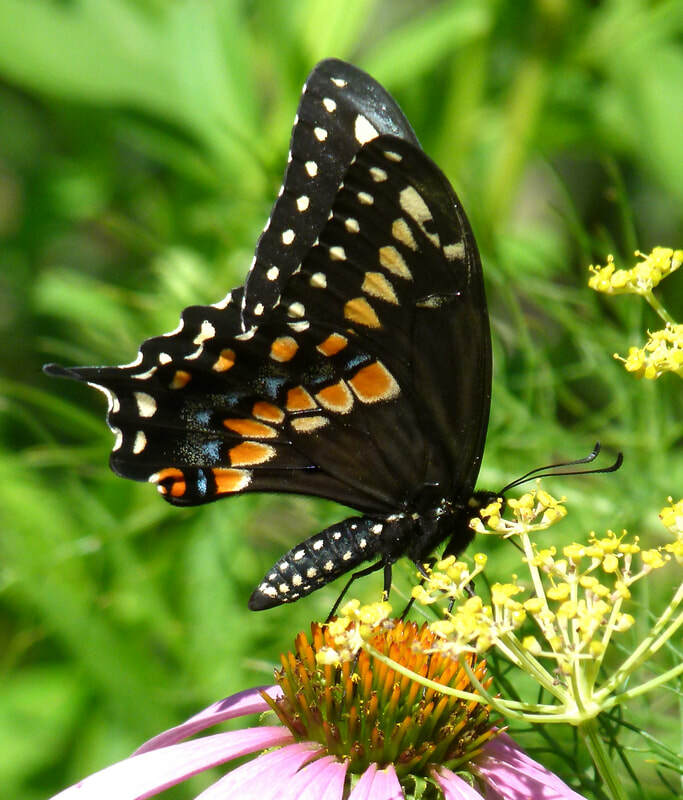 Both the larvae and adults eat milkweed, sequester the toxins in their bodies, and become toxic to predators. Their bright orange and black coloring is a warning to any animal that is considering making them a meal. 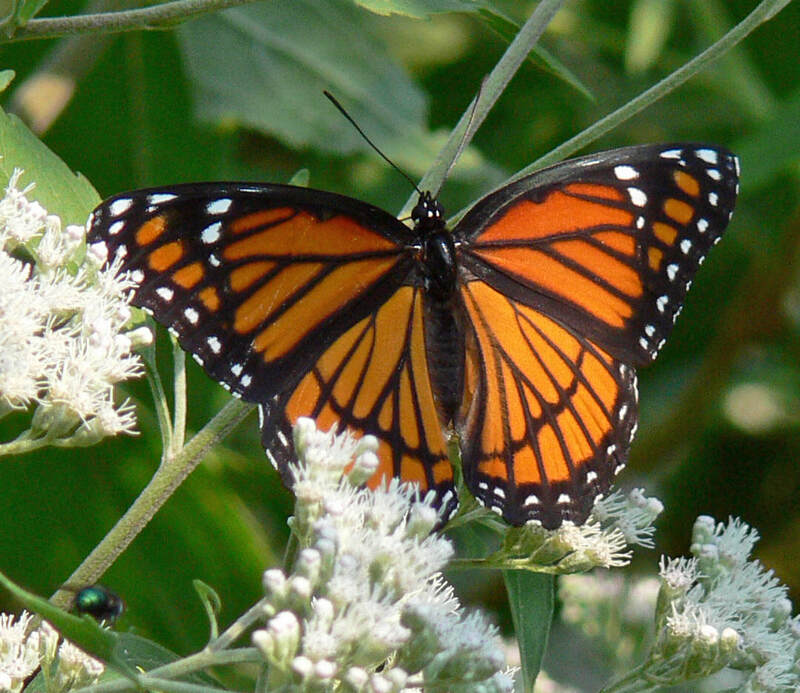 Viceroy Butterflies are convincing mimics of Monarchs. 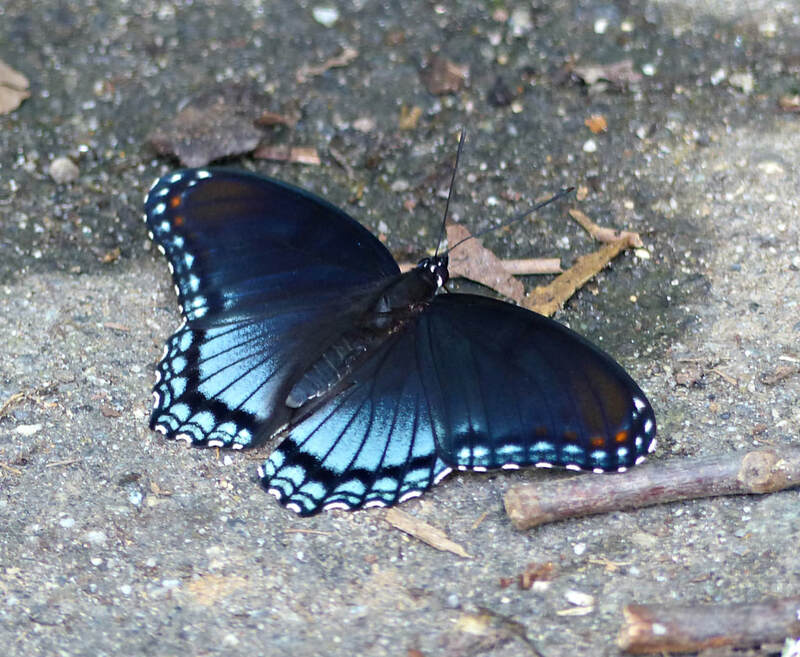 They derive protection from being mistaken for Monarchs. 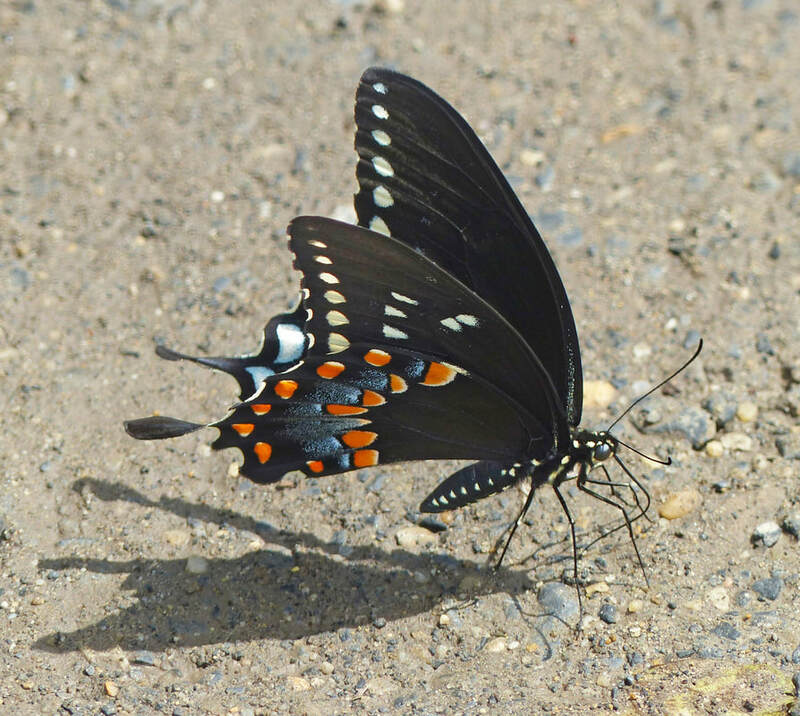 Even in still photographs, the two brightly-colored butterflies pictured below look like the same insect. The butterfly on the left is an unpalatable Monarch. The one on the right is a Viceroy, a very successful mimic. Imagine if the butterflies were flitting around. Would a predator be fooled? Were you?! Pipevine Swallowtail Butterfly caterpillars eat pipevine, also known as Dutchman's pipe, which is very toxic. 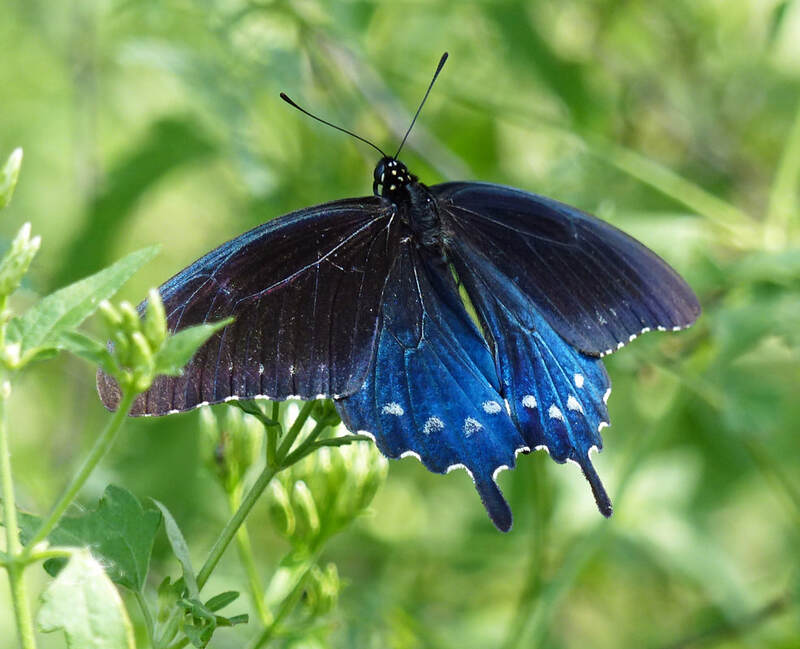 The caterpillars store the plant's poisons in their bodies so when they become adults -- butterflies -- they are toxic to predators -- mainly birds. 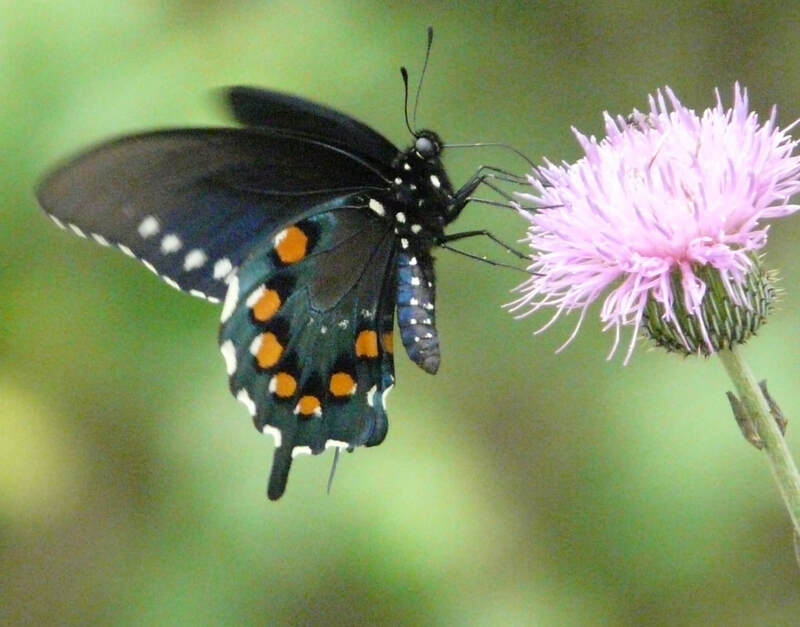 Are the butterflies pictured below Pipevine Swallowtails? Ants are a member of the Hymenoptera order, which includes wasps, bees, and ants. 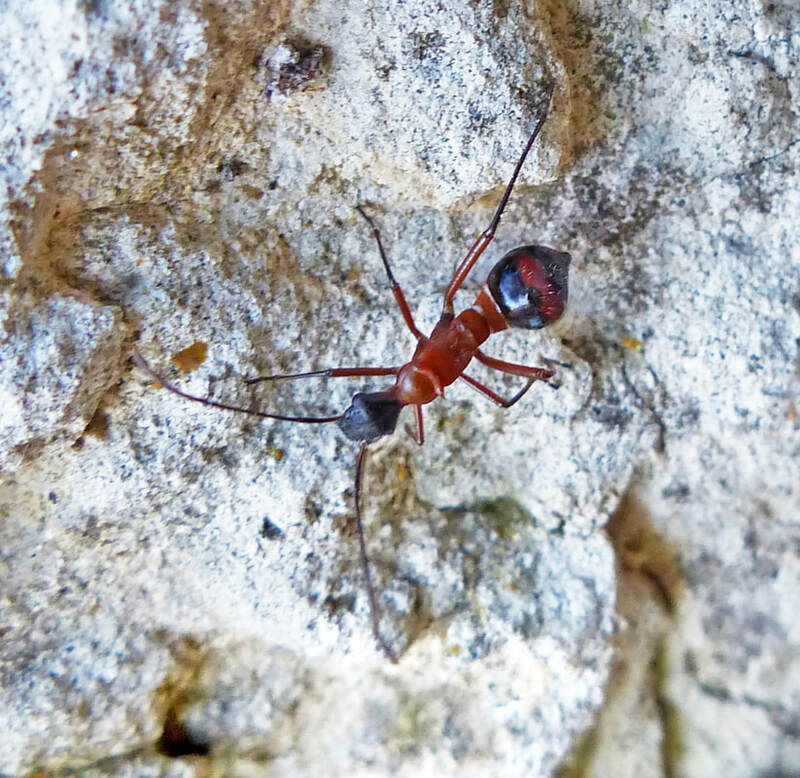 Ants sting, bite, and contain bitter formic acid. They appeal to few predators. 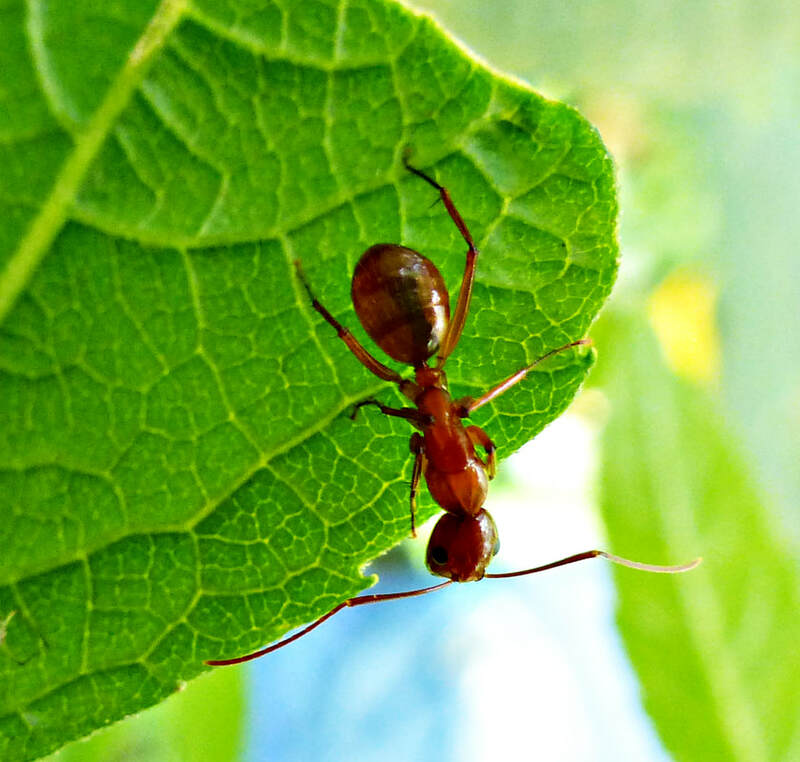 Mimics of ants are many -- among them are beetles, flies, spiders, and true bugs. The insect on the left is a BUG NYMPH - A Texas Bow-legged Bug (Hyalymenus tarsatus) nymph. The insect on the right is an ant. Incredible mimicry!! !